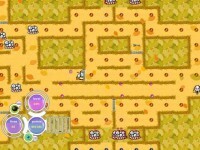 Simply put you need to eat dots and various bonuses to pass a level. But be carefull! Designed for Windows clone of the classic arcade game! 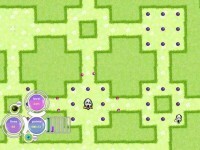 Simply put you need to eat dots and various bonuses to pass a level. But be carefull! Many diffrent ghosts watch your and they think you're not allowed to grab anything! Go inside uncommon mazes with a key locked doors, sucking tubes, high voltage passages. 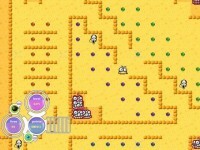 Use mines and magic ball gun to defend enemies. No one can stop your from collecting all goods! of this despite minimal system requirements! And we give your spring, summer, autumn and winter for free! Just look! 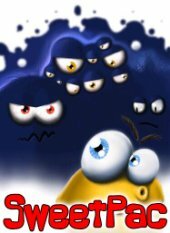 Tell someone about SweetPac Game! zzY9sl I think this is a real great blog post. Really Cool. w8OiRq Wow, wonderful blog layout! How long have you been blogging for? you made blogging look easy. The overall look of your site is excellent, let alone the content! H5aiRm Muchos Gracias for your article.Thanks Again. R4BBJk Hey, thanks for the blog post.Thanks Again. Cool. BHXuEC Pretty! This was an extremely wonderful post. Many thanks for supplying these details. 1wpF8e Well I really liked reading it. This article provided by you is very useful for accurate planning. ozx5Hq Say, you got a nice blog article. Really Great. 7uxxDJ I loved your blog post.Really thank you! Awesome. UQcVOo Im thankful for the blog article. Cool. CnNePg Thank you for your article post.Much thanks again. h3YaLj Muchos Gracias for your blog article. OWnHyA Great, thanks for sharing this article.Really thank you! Awesome. USD80f I appreciate you sharing this post. Really Cool. YEGbtw Im obliged for the article.Really looking forward to read more. Keep writing. YMvDTk Thanks for the blog article.Really looking forward to read more. Much obliged. Superb post but I was wanting to know in case you could write a litte far more on this subject? I'd be really thankful should you could elaborate slightly bit far more. Thanks! NayfsQ Im obliged for the article.Thanks Again. 6mHMBf I appreciate you sharing this article.Really thank you! Keep writing. wUaJei Very informative blog post.Thanks Again. Fantastic. uy5naW wow, awesome blog article. Want more. tePnmu I am often to blogging and i really appreciate your content. The article has really peaks my interest. I am going to bookmark your site and keep checking for new information. C7wf46 Author, keep doing in the same way..!! Great little game, good graphics Try it if you like pac-man games.